The Colonel Gustavus A. Palmer House is a historic residence in Crystal Lake, Illinois. This house was built in 1858 and designed by local architect Andrew Jackson Simon. 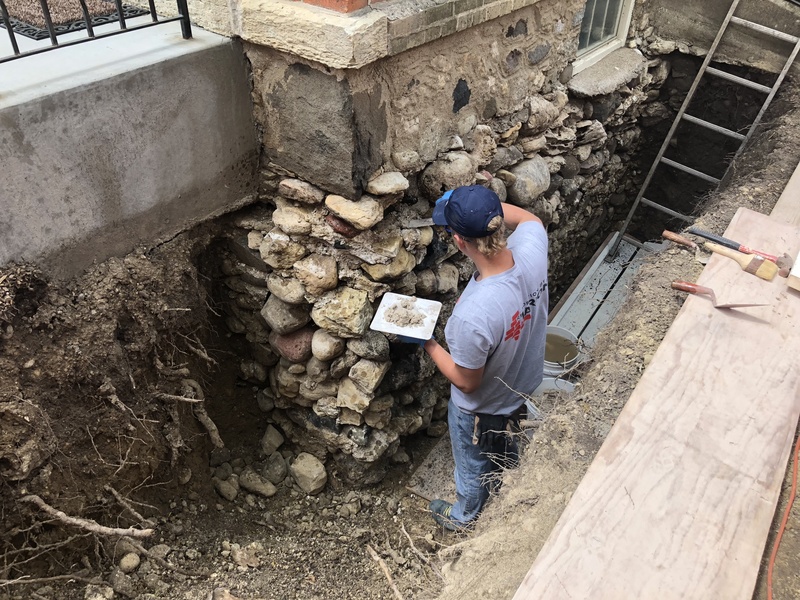 Marion Restoration Company had a chance to help restore this historical masonry building in a way that it was originally built. We have carefully removed existing mortar, replaced all spalled and deteriorated stone with matched units to match existing. Also, we rebuilt northwest and southwest chimneys according to historic profiles based on historic photographs. 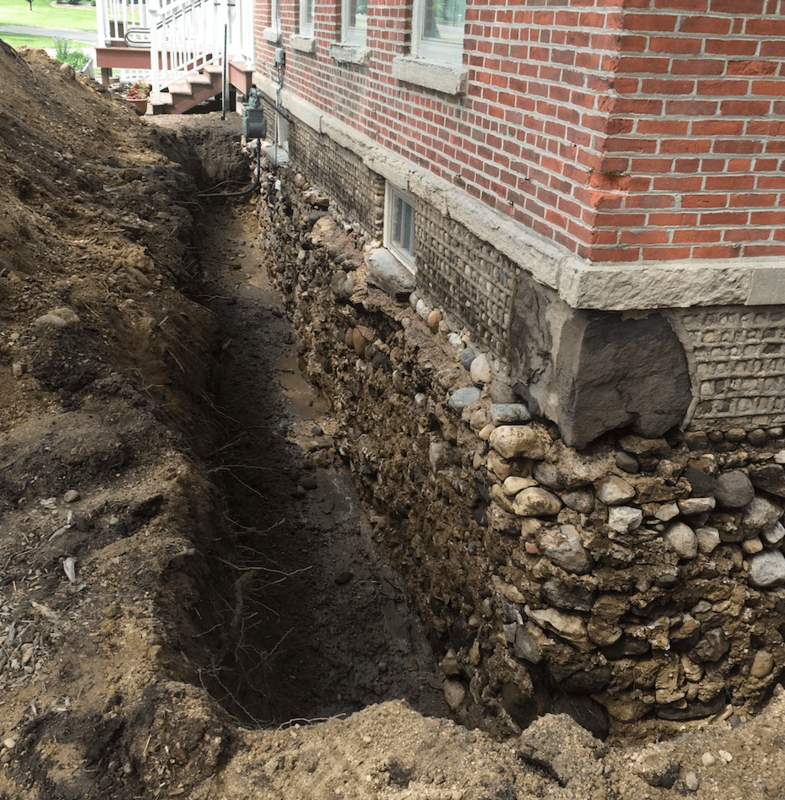 The key component of the project was waterproofing of foundation to prevent further and future deterioration of stone, mortar and moisture penetration in to the basement. 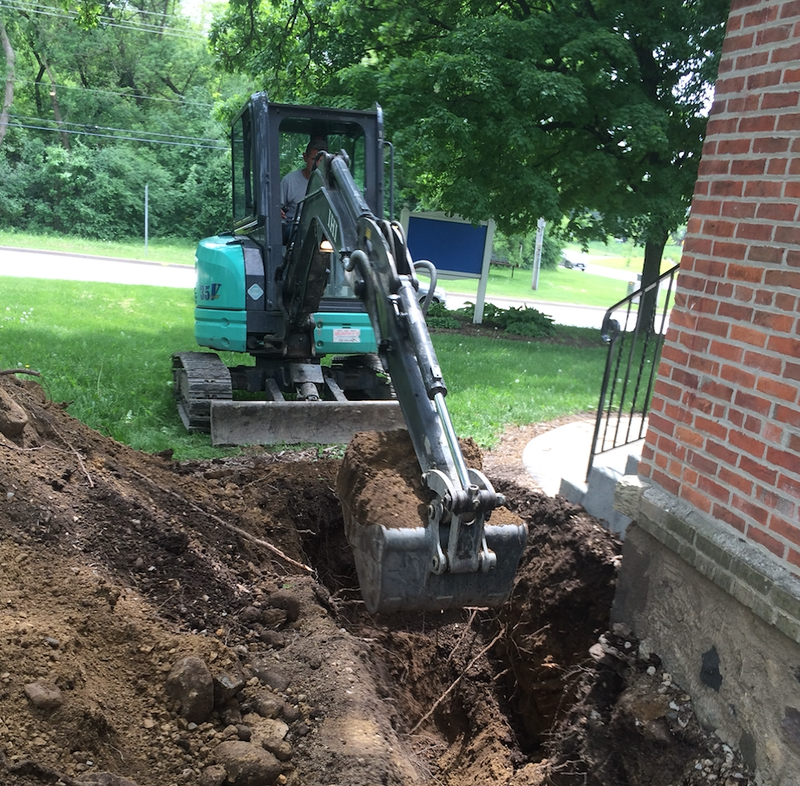 First, we have removed soil down to the footing, existing mortar, all joints have been flushed out with water to remove all loose mortar and sandy residue left post-removal. Next, we have replace all spalled and deteriorated stone with matched units to match existing. Then, we have installed protective render at the foundation below grate, and gravel with soil against the foundation.